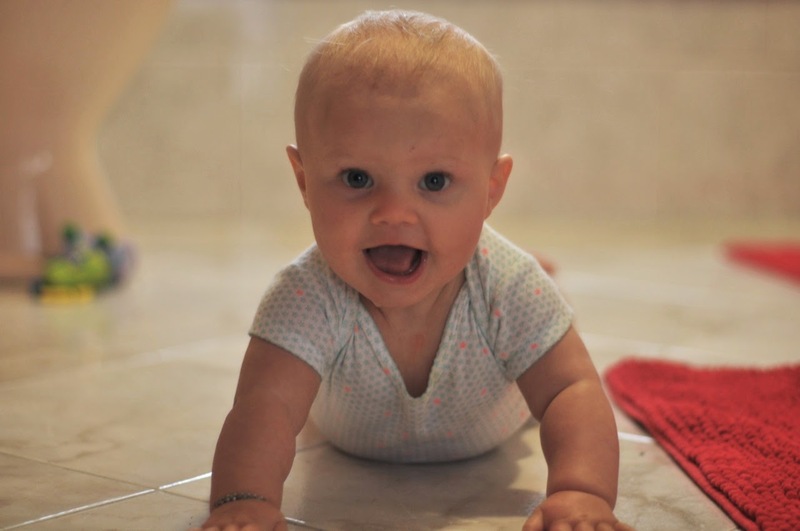 Clementine is about a minute away from crawling. She's perfecting the drunken baby flail and the roll around and has just recently added the try to scoot but end up three inches backward move. She never sits still. All the stages have been cute, but this one is exceptionally good. There's a new thing every day. I love her facial expression in the third picture right before she took a little roll, then she figured out how to push herself off the door. Anders will be here at the end of the week. He is coming to stay with us to help with taking care of Clementine and give me some free time to work. We are all very excited for the coming changes, which everyone will know more about very soon.